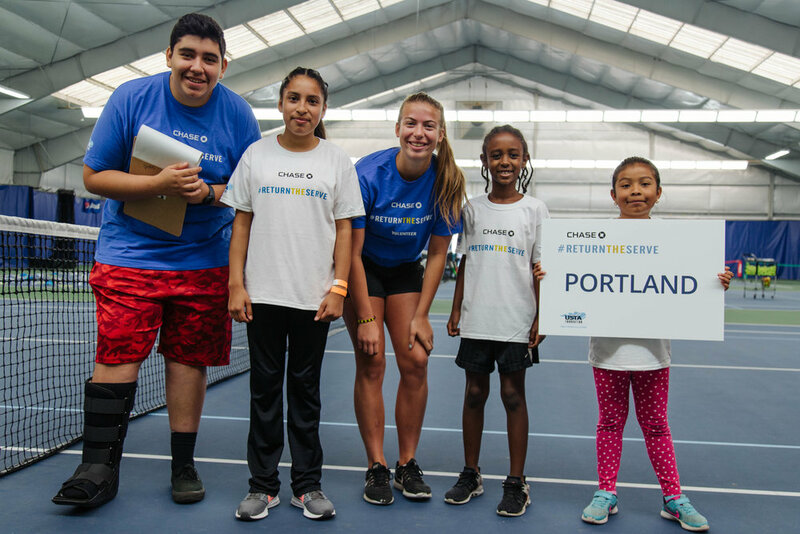 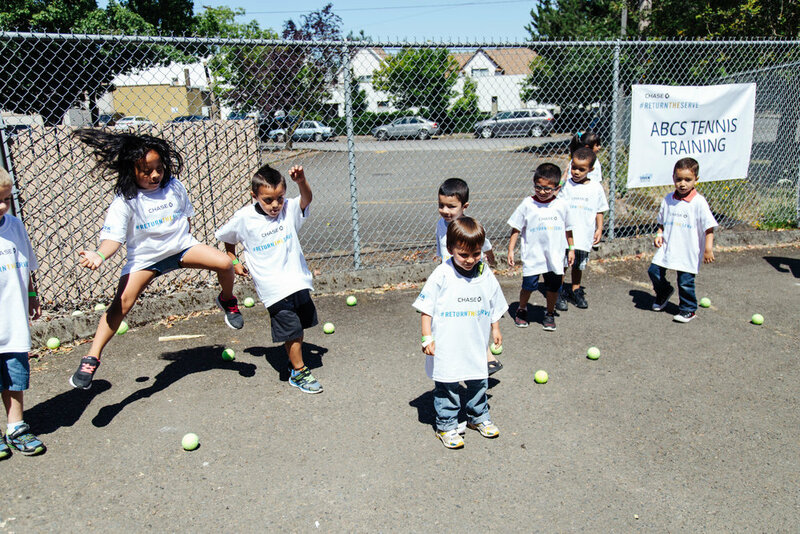 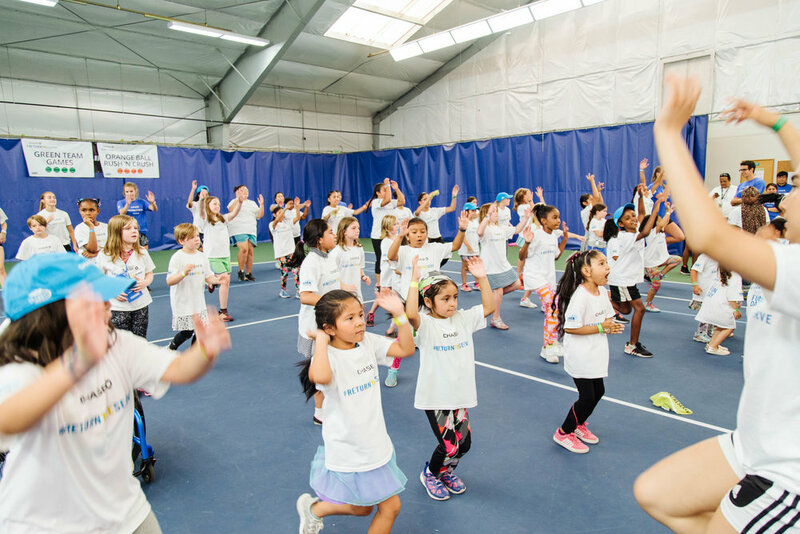 On Friday July 15th PT & E hosted the Return the Serve Tennis Fun Day sponsored by JP Morgan Chase. 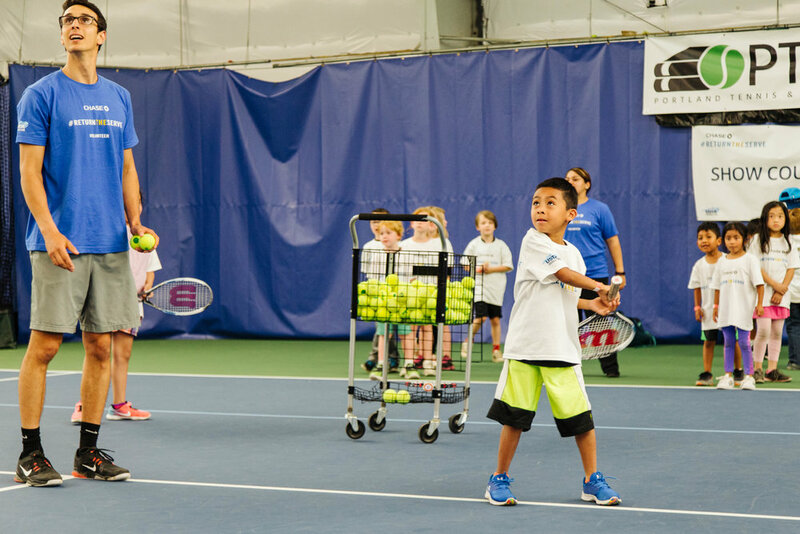 Well over 100 local youth and dozens of volunteers showed up for a Friday filled with tennis, fun games, prizes and pizza! 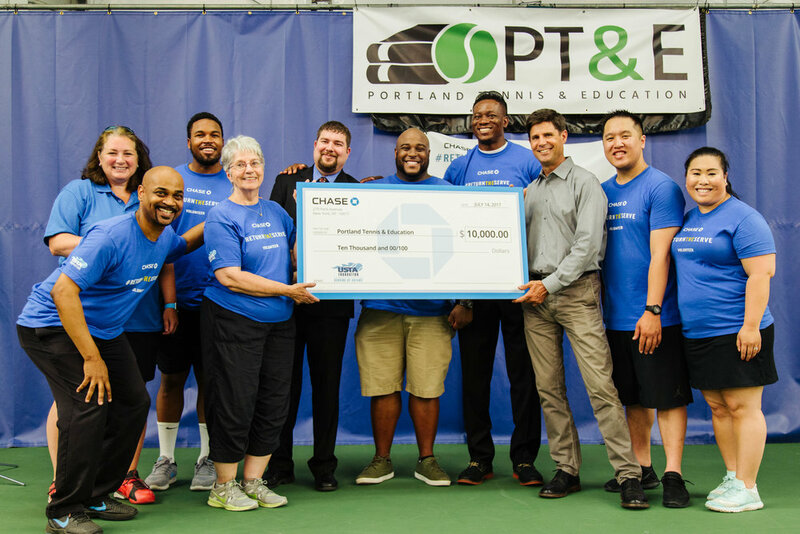 This is the third year PT&E has been fortunate enough to partner with Chase. 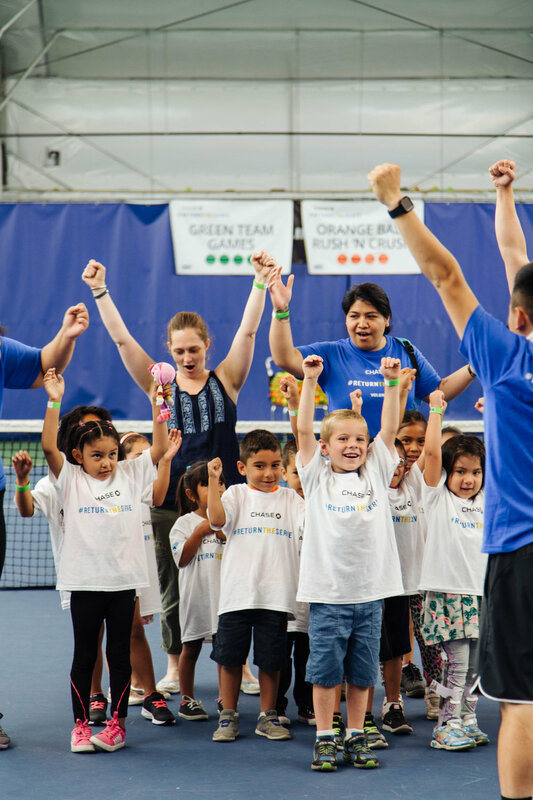 Thank you to everyone who attended the event and made it all possible. 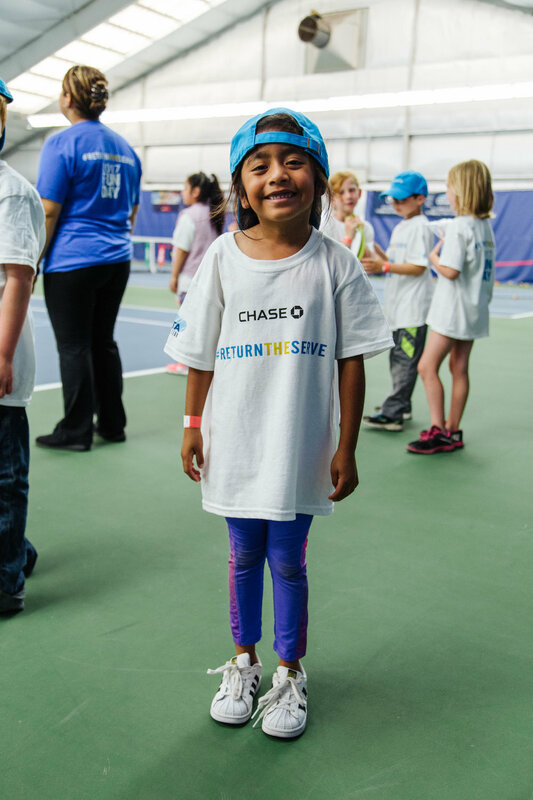 A huge thank you to the USTA who partnered with JP Morgan Chase to make this event possible. 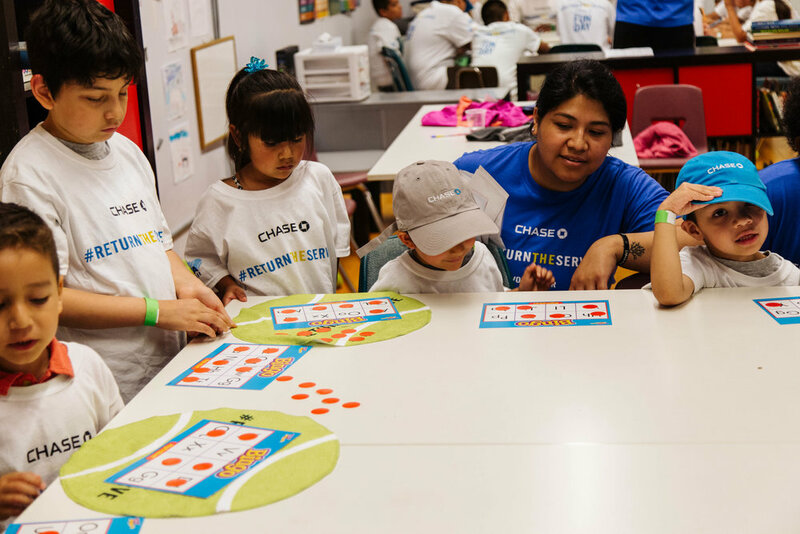 An extra special thanks to the JP Morgan Chase & Co. whose employees spent a Friday volunteering and playing games with the kids! 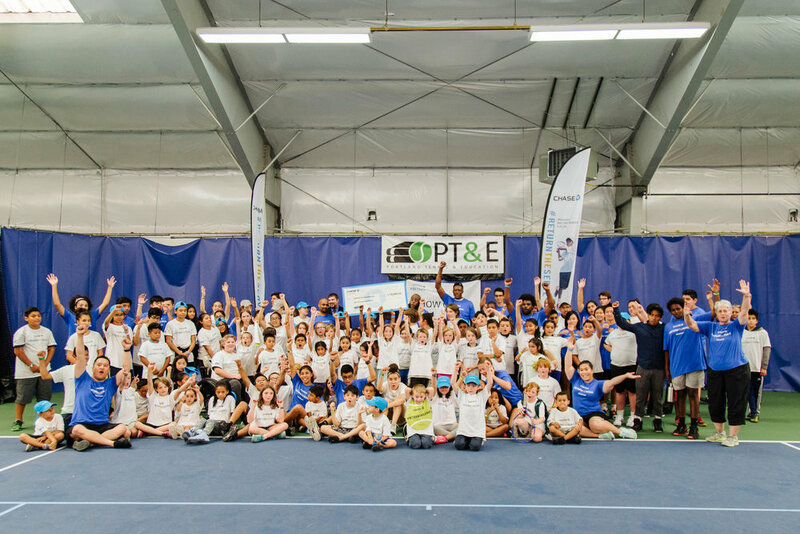 As well as an even bigger thank you for the incredibly generous donation of $10,000 which will help us to support our scholar athletes in countless ways! 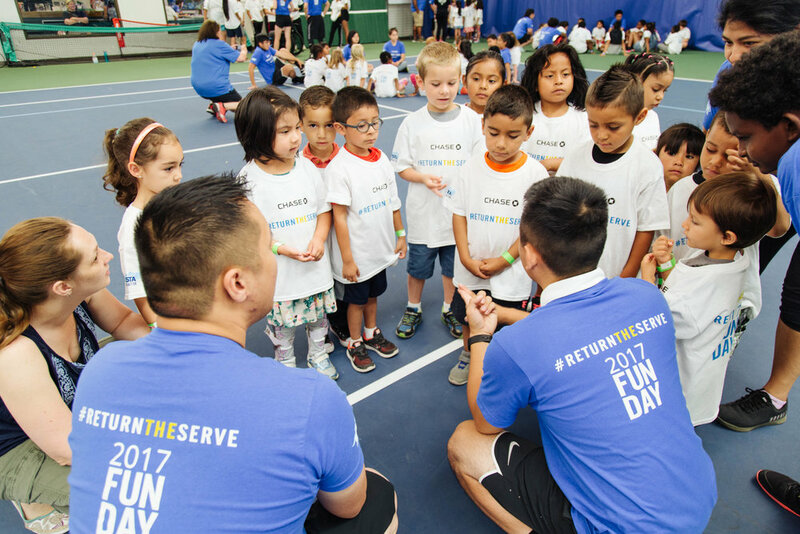 Return the Serve is always a blast for kids and volunteers alike and we are honored to have hosted this event more than once and hope to do so again next year!